This statistic represents the value of the global biofuels market from 2020 to 2013. 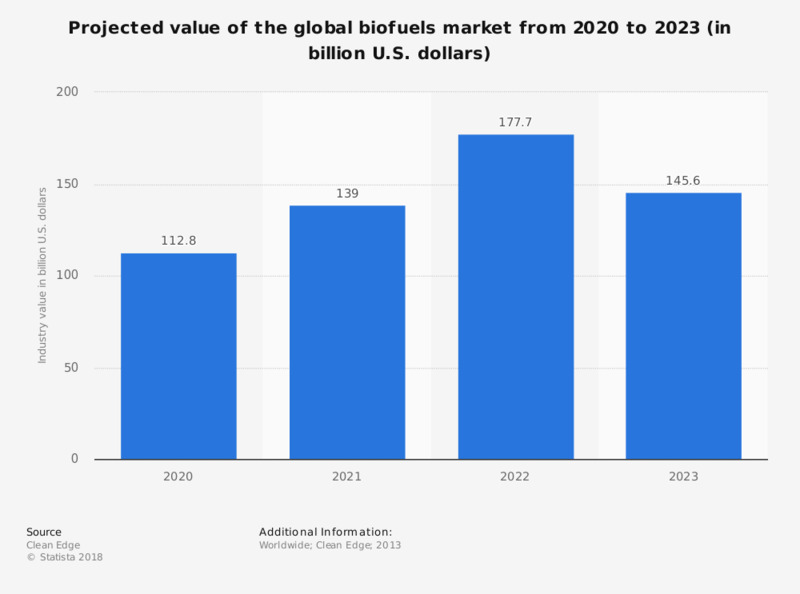 It is projected that the global market for biofuels will be sized at approximately 140 billion U.S. dollars in 2021. The figures for 2020 and 2022 are taken from previous editions.